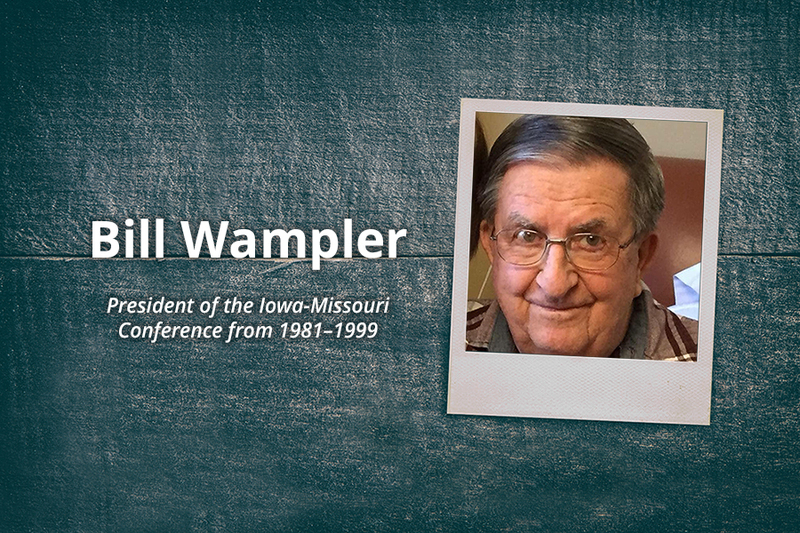 It is with great sadness we share the news that Elder Bill Wampler, who served as president of the Iowa-Missouri Conference from 1981-1999, passed away on Tuesday, January 22, 2019. He was 89. Several pastors around the conference and all three current conference officers served with Elder Wampler during his presidency. Wampler is remembered as a compassionate leader who loved the Seventh-day Adventist Church and its mission, as well as a man of common sense and a great sense of humor. Though he was theologically conservative, Wampler took a progressive stance on issues like gender equality in church employment. In a time when even non-pastoral leadership positions were largely reserved for men, Wampler was responsible for Karr’s appointment to treasurer in 1998. A memorial service will be held at 4:00 pm on Sabbath, January 26 at the Standifer Gap Church in Chattanooga, Tennessee. Please join us in praying for Elder Wampler’s family during this time. This article was written by Randy Harmdierks and originally published by the Iowa-Missouri Conference of Seventh-day Adventists. Image courtesy of the conference.